SmartMoto Unlocking Manual. Smart-Clip is a professional device for unlocking cell phones. Download PDF English or Italian version of User's Manual for SmartMoto v.1.23 and lower. SmartMoto is a flashing, repairing and unlocking software meant to be used with Smart-Clip and S-Card dongle. Free of charge download of SmartMoto is available at our web site. Connect handset, in flash or normal mode, to PC via Smart-Clip (phone > USB cable > Smart-Clip > LPT cable > PC). 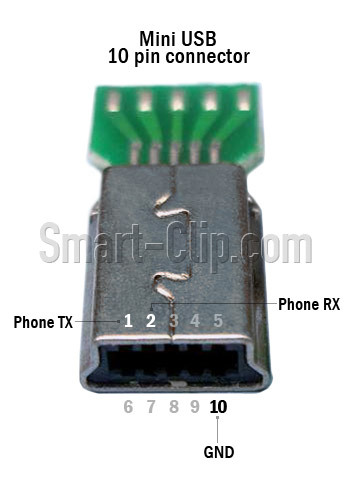 Choose "Smart-Clip USB port (MotoMAGX)" in phone connection window. Press "Unlock" button/ type repaired number and press "Restore IMEI" button. The message "Unlock – OK"/"Restore OK" informs that process completed successfully. The handset restarts and can be disconnected. "Automatic Model Detection" option can be used only for the handsets that Power On normally. If the set stays in Flash mode, phone model has to be selected manually. After flashing procedure the phone is being restarted. Remove the battery from the phone as soon as reboot procedure starts. Phone doesn't have to turn on! The message "Unlock – OK" informs that process completed successfully. The phone Powers On and shows "Insert SIM" message. Please note that the phone shouldn't power on until the last stage completed. If the phone powers on before Repair procedure completes, repeat whole operation from the beginning. Power on the Smart-Clip from power adapter and E/G indicator will light green. Power on the phone without SIM card and flash card (if present). Connect the phone to Smart-Clip and press the "Unlock" button (red on older Clips). E/G indicator will light green and go off, the phone will switch off (some models will automatically turn on then). E/G will light green on success or red on error. Successful unlock resets User Code to 1234, Security Code to 000000. Unlocking newer versions of V18x/V22x/C65x/C38x/E375/E378i or C975/C980/V980/E1000 (Boot Loader 0.6.1.2) may require additional user intervention. It may happen that E/G led still blinks after display turns off Ц it means that you have to turn the phone ON manually within 2-3 seconds after display turns off; alternatively you can try to unlock these newer versions of V18x/V22x/C65x/C38x/E375/E378i with battery charger on. Connect the phone to a powered Clip. Phone display should give "USB cable connected" message. Phone reloads. Within 5-10 seconds phone display gives "Waiting for PST" message. Press 1 and 2 keys simultaneously in upper part of the handset. The phone enters boot mode (if you don't press these two keys during "Waiting for PST" message, the Clip will give red E/G led and you will have to start with step 1 again). After 1 and 2 keys have been pressed E/G green led will blink and the phone reboots. Meanwhile E/G will give frequent green blinking and phone will turn on. Do not disconnect cell phone from Smart-Clip while green led indicator blinks! Green E/G led glows. The cell phone is unlocked. Don't unplug cable right after phone reboot, wait until E/G led stops blinking! Remove flash card from phone before unlocking. 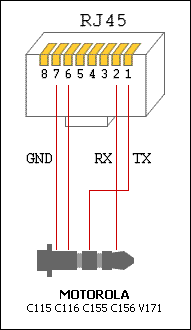 Connect the Clip to the phone using RJ45 cable (see pinout schematic below). Press Power button on the phone within 5 seconds after you press UNLOCK button on the Clip. RX/TX leds will blink. * After successful unlock (green led on) phones with inserted sim card may ask for PCK or NCK code. Enter 00000000 ("zero" 8 times). Connect S-Card and launch SmartMoto. Select "Computer COM ports" in connection window. Log to "Chi Mei" tab. Press and hold "Leftwards" button. Select an appropriate COM port in SmartMoto (usually is the highest number). Power ON the phone with any sim card inserted. Phones menu will popup with unlock code request. Enter the code that was read by SmartMoto with the status "Activated". Connect S-Card and launch SmartMoto..
Power the phone OFF and remove the battery. Connect USB data cable (not a Forced Boot Mode cable!!!). Connect* powered OFF phone to PC COM port. Select "Computer COM ports" in Phone connection window. Select an appropriate COM port in SmartMoto. Pick the required model from the list of supported. Press "Power ON" button on the phone, as soon as SmartMoto indicates an appropriate message. SmartMoto performs the Unlock process. Note. Please do not use any HUB or extension cable. Connect the handsets to PC USB port directly using an original data USB cable. MPx models require a driver to be installed. Universal driver for all models is available within SmartMoto directory (SmartMoto install folder \drivers\…). To install the driver: connect your handset to the PC, system will detect a new device, locate the driver and run the installation as many times as system will require it. * Chi Mei models require to be connected to PC COM port via original COM data cable or using any COM port emulator. 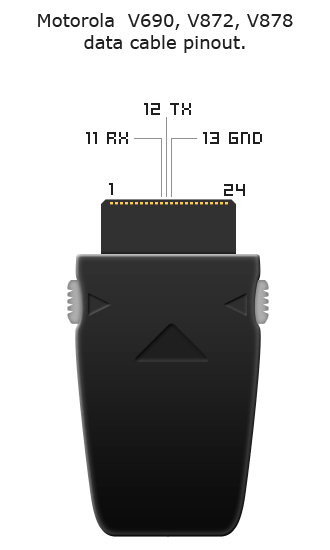 Chi Mei data cable pinouts. Connect* powered OFF phone to PC. Connect S-Card to PC USB port and launch SmartMoto. Log to "SE phones" tab. Select required model from the list. * SE models require to be connected to PC COM port via original COM data cable or using any COM port emulator. 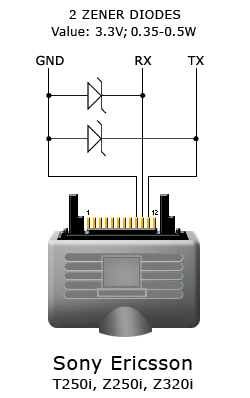 * Compal models require to be connected to PC COM port via original COM data cable or using any COM port emulator. 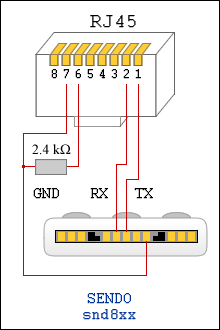 Compal ("Calypso+" based) data cable pinout. For unlock purposes the specified above models require to be connected to PC USB port. Connect S-Card and Mini USB data cable to PC USB port and launch SmartMoto. Select "Computer COM ports" in Phone connection area. Log to the tab "Compal models"
Choose an appropriate model from the list. 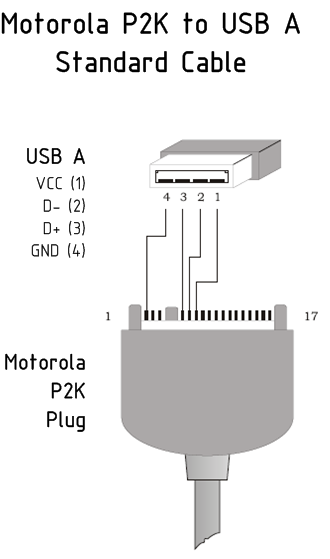 SmartMoto will inform "Connect phone to computer USB port before proceeding". Connect data cable to the powered OFF phone with inserted battery. The SmartMoto will automatically (no user intervention is required during the installation) install "Locosto flash interface" driver and display the following message: "reconnect phone and try again". Disconnect data cable from the phone, remove and insert the battery back to the phone. Connect data cable and press Unlock again. Message "Unlock ok" informs that process is finished and the phone can be disconnected. Log to the tab "Compal models". Connect data cable to the phone without battery. For unlock purposes the only driver that is required is the "Locosto flash interface" driver. No need to install the phone model driver. Repair EEPROM Ц this option has to be used when itТs required to perform repair of the corrupted parts of the existing EEPROM in the phone. Use default EEPROM (for repair only) Ц this option allows writing new EEPROM zone to the phone and recalculating it according to the phone parameters. Format FFS Ц format file system. Resets all user settings to the default value and removes all user data. F3 Unlock Clip Ц is the easiest unlock solution, available on the market yet. It is operated by one button and requires to be powered from mains adapter or even 9V battery. If the LED on F3 Unlock Clip, after frequent blinking starts to blink slower instead of lighting up Ц the unlock process failed. Please disconnect the phone from the cable, remove and insert the battery, switch the phone to boot mode and perform unlock again. Log to the tab "MTK Calculator"
Choose Provider ID from the list. Way 1: In most cases, "Provider ID" of your phone can be found at the sticker under the battery. In case providers ID is not specified on the sticker under the battery, try to find it on the phone's package - it should be mentioned there. *Free distribution of unlock codes calculated by Smartmoto Software is strictly prohibited! Violation of this policy will result in your card / box being blocked. The phone may not accept unlock code if the wrong unlock code was entered too many times and Wrong Code Counter is filled. In this case try performing "Master reset" operation and then enter the code again. Log to the tab "MTK models"
As soon as SmartMoto shows an appropriate message in the log window, release "Power ON" button. The message "Reading unlock codes…OK" informs that process completed successfully. Power ON the phone with the non-original SIM card inserted. 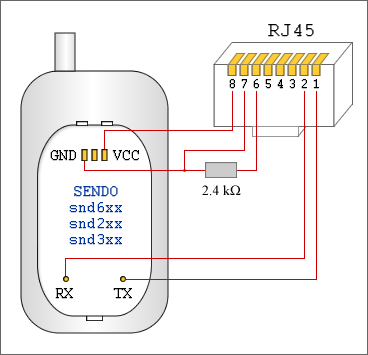 * MTK models require to be connected to PC COM port via original COM data cable or using any COM port emulator. ** Tick the "Work with secondary IMEI" mark to Read codes for secondary SIM. Force simple mode (slower) Ц flashing procedure at a slow speed. Should be used if a handset can not be flashed with "Smart Restore"
Smart restore Ц Flashing via a special algorithm that provides faster flashing progress. Data that differs from the handset's firmware get flashed, only. Format FFS after restore Ц this option can be used for flashing with backup copies only. If this option checked, the FFS get formatted automatically after the handset is flashed with a backup copy. NOTE: If this option is unchecked and IMEI number in the backup copy and handset is the same, backup get restored without FFS formatting. Press "Unlock" and follow the instructions in the log window. The message "Unlock done…OK" informs that process completed successfully. Please perform Backup Flex and Backup Calibration before unlock procedures, except WX345. Please remember backup must be saved before performing unlock operation. * EX series models require to be connected to PC COM port via original COM data cable or using any COM port emulator. The message "Reading codes…OK" informs that process completed successfully. 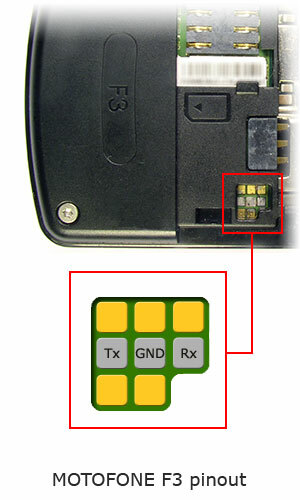 Some handsets require Remove RSA procedure to be performed before actual Smart-Clip unlocking. Remove RSA procedure itself Ц itТs a partial flashing of the phone firmware. Connect the handset to PC via Smart-Clip (phone > USB cable > Smart-Clip > LPT cable > PC). 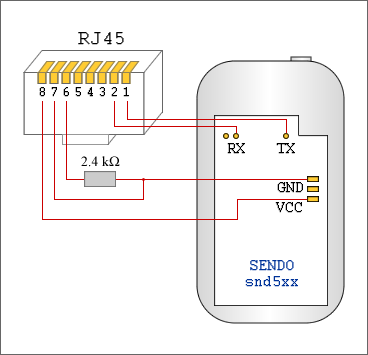 Connect S-Card to PC USB port. Connect power supply to Smart-Clip and power on the handset. 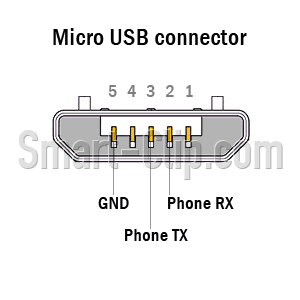 Choose "Smart-Clip USB port" in phone connection window. SmartMoto detects the handset and reads all information. Pickup correct model from the scrolling list. Phone goes into boot mode. Part of phone firmware is reflashed. 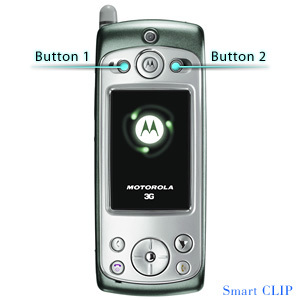 The phone powers on and is ready to be unlocked by Smart-Clip using simple "press one button" method (Standard unlock procedure for P2K models). Phone goes into boot mode. Reserve copy of security area is created. Part of phone firmware is reflashed. Phone doesn't power on after that. 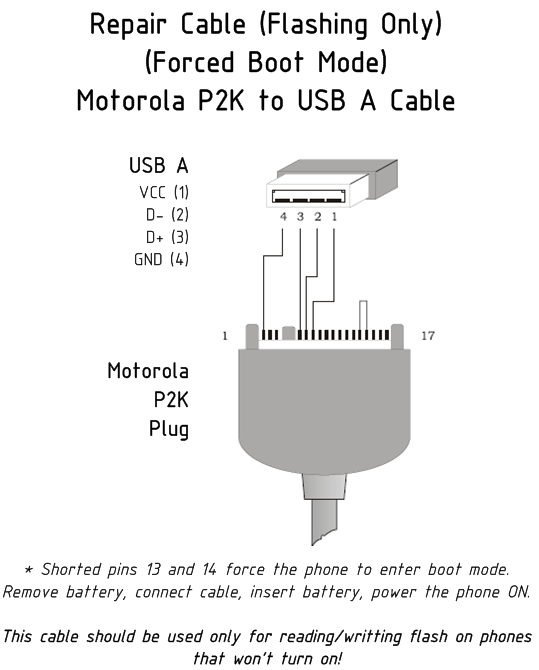 SmartMoto will give the message requiring to take phone into boot mode by pressing keys combination: *,#, PWR ON (at this moment the phone has to be connected with USB cable) or by using Repair cable. Press "OK" button. Wait till the process finishes. Connect powered ON handset to PC via Smart-Clip (phone > USB cable > Smart-Clip > LPT cable > PC). SmartMoto detects the handset and reads all phone information. Select the appropriate model from SmartMoto list. Make sure that phone model and boot version of the phone to be unlocked exactly match the model and boot version stated in the list. For unlock purposes, please make sure that "Unlock automatically" option is marked. The prepare cycle starts. SmartMoto creates a Temporary Backup File* from the handset firmware. The prepare cycle will continue. The handset should be detected by SmartMoto as "S Blank..." with boot 2.00 (3.00). If the option "Unlock automatically" was marked Ц the handset becomes unlocked. If the option was not selected then the handset can be served for Flash, Repair PDS, Unlock or Backup purposes. If there was any mistakes made during unlock process, and the handset is in "MEM_MAP Blank" mode, then "Prepare" process has to be repeated and the handset has to be flashed with reflash or full_flash file. At the stage 11, handset screen might display a "Critical error" (Erasing flash memory error 80) message. Please, donТt be worried and strictly follow the instructions of SmartMoto. Argon: K1s, K3, V1100, V3re (V3 EDGE, V3_06), V3re (boot v. 0C.F4), V3xx, V3xx Cingular (North America), V6maxx, V9, Foma M702iG, Foma M702iS. Select an appropriate model from the list. Mark "Unlock automatically" and press "Prepare Smart TestPoint" button. Prepare operation is in progress. The handset gets reloaded, backup of firmware is saved. Please ensure that LCD is disconnected from the board!!! Connect needle A to the primary TestPoint A, hold it until the software informs that it can be disconnected and press OK in SmartMoto. The handset should be detected with boot version 0.00. Disconnect TP needle when SmartMoto informs to do so. NOTE. 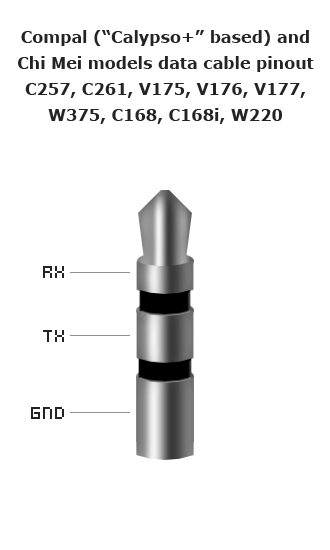 W490/W510 and Foma M702iG schematic contains 2 TestPoints, A (primary) and B (secondary). In case if unlock fails using single TestPoint A, please perform the process, using both TestPoints simultaneously (connect needle A to TP A and needle B to TP B). Please follow this order strictly. Do not use power from the battery. Use battery hook and ensure that itТs connected to the appropriate ("+" Positive) contact. Before starting the unlock procedure, please check the boot version of the phone. The next steps depend on the phone boot version. Follow the instructions in the schedule, please. Unmark option "Unlock automatically after prepare" and select the appropriate model from SmartMoto list. Make sure that phone model and boot version of the phone to be unlocked exactly match the model and boot version stated in the list. The prepare cycle starts. SmartMoto creates a Temporary Backup File from the handset firmware. The handset should be detected by SmartMoto as "S Blank..."
SmartMoto restores the temporary backup file. Phone doesn't power on after that. SmartMoto will give the message requiring to take phone into boot mode by pressing keys combination: *,#, PWR ON (at this moment the phone has to be connected with USB cable). The phone enters a flash mode (continue with the step 14, please). P.S. Alternatively, the handset can be connected using a TestPoint method. After that log to bookmark "Flash", press "Enter flash mode" and continue with the step 14. Select the appropriate model from SmartMoto list and press "Unlock via patch" button. Please, donТt use a "Forced boot mode cable" for unlock procedure, provided above. I-Mode drivers are not compatible with Win9x/ME. Win2k/XP is required. Connect powered handset to PC USB port. Locate the drivers at SmartMoto installed directory (__:\Program Files\GsmServer\SmartMoto\iMode drivers\ …). The modem port will be installed to the system. Connect S-Card dongle. Launch SmartMoto. Be aware that Smart-Clip is not required for unlock of L6/L7 i-mode models. Select "Computer COM ports" in "Phone connection" window and log to the bookmark "I-MODE". Select the phone corresponding COM port (usually is the highest port number). Press "Read Code" button. The handset goes into "test mode". The software gets several codes from the handset. Status (LOCKED/UNLOCKED) of each code will be displayed. Codes with status "LOCKED" should be entered to the phones submenu to perform the unlock process. The handset automatically powers ON. Disconnect the cable. Press and hold "*" (asterisk) button on the keypad. While holding the "*" (asterisk) key type the required pass to enter the submenu. The unlock request appears on the phones screen. Press OK. Enter the unlock code provided by SmartMoto and press MENU button. The procedure, starting from step 9, has to be performed for each code with status "LOCKED"
Please remember to update Smart-Clip first and perform S-Card update after that only. That method can be used for Flash/Backup/Repair/Unlock purposes. To perform a TestPoint procedure the handset requires to be disassembled. TestPoint schematics are located at Public Downloads section of www.boot-loader.com. No need to perform a Clip Login to access TP pictures. Use the TestPoint for each specific phone model and follow the step-by-step instruction strictly. Please note that with some models there is a single contact that should be grounded (connected to the metal cover), others have two contacts that should be connected to each other. In most cases TP contacts are protected by a metal cover, which has to be cut or drilled for TestPoint procedure. However, in case of any hardware damage or phone warranty termination caused by TestPoint procedure Smart-Clip developer does not bear any responsibility. Connect phone PCB to PC via Smart-Clip (phone > USB cable (not repair one)> Smart-Clip > LPT cable > PC). Connect power supply to Smart-Clip. Connect TestPoint to ground (to each other). SmartMoto detects the handset as "S Blank Neptune LTE", "S Blank"Paragon POG" or "S Blank Rainbow". Select a correct model from the scrolling list. 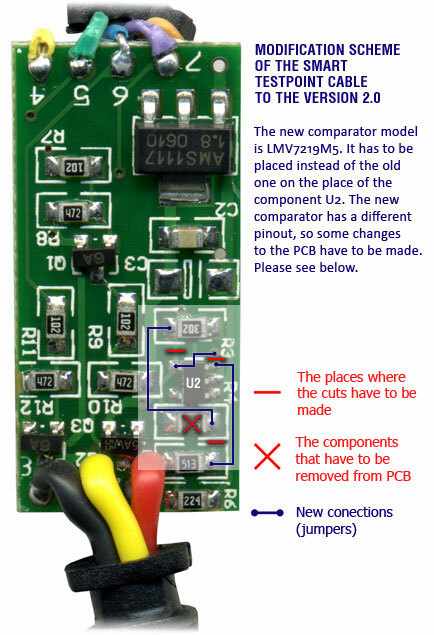 Disconnect PCB after the process is completed. Some phone models require a particular procedure to be performed while using "Unlock via TestPoint" method. Specific procedures for each model are provided blow. During TestPoint unlocking procedure phone's LCD must be disconnected. Do not use hot air fan to remove a metal shield on PCB. This can seriously damage the handset. We strictly recommend to make a backup of flash from the handset before performing any procedure. This will enable you to restore the handset to its original state in case of unlock process failure. 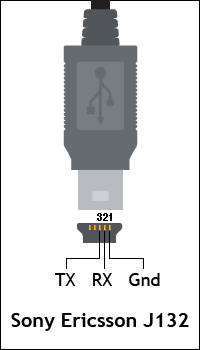 Connect phone PCB to PC via Smart-Clip (phone > USB cable> Smart-Clip > LPT cable > PC). Press and hold side key A.
SmartMoto detects the handset as "NS Flash Interface". Press and release side key A once again. At this stage the phone will be detected as "S Blank LTE2 Neptune". Models with boot versions up to 0.6.1.2 could be unlocked simply by pressing "Unlock" button on Smart-Clip (standard unlock procedure for P2K models). Connect handset to PC via Smart-Clip (phone > USB cable > Smart-Clip > LPT cable > PC). Phone enters boot mode, message "Waiting" appears on the bottom of phoneТs display. Press 1 and 2 buttons simultaneously in upper part of the handset and SmartMoto will continue the process. Message "Waiting" should disappear, press 'OK' to continue. SmartMoto finishes removing RSA, the handset turns ON. Now phone requires being unlocked with Unlock button of Smart-Clip. Connect the phone to the powered Clip. Phone reloads. Within 5-10 seconds message "Waiting" appears on the bottom of the phoneТs display. 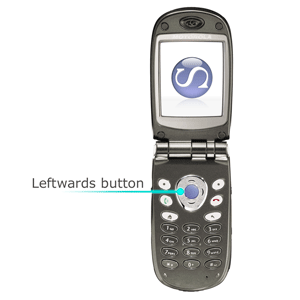 Press 1 and 2 buttons simultaneously in upper part of the handset. Message "Waiting" disappears, phone enters boot mode (if you don't press these 2 keys during message "Waiting" is displayed, the clip will give red E/G led and you will have to start with step 15 again). After 1 and 2 buttons have been pressed E/G green led will blink and phone reboots. Meanwhile E/G will give frequent green blinking and phone will turn on. Do not disconnect cell phone from Smart-Clip while green led indicator blinks! The cell phone is unlocked. M1000 variants with higher boot versions will require TestPoint procedure to be unlocked. Please be aware that TP procedure and data cable for M1000 differ from those for other P2K models. Connect TestPoint A to TestPoint B. Press Button 1 and Button 2 simultaneously. While holding Button 1 and Button 2 insert battery. Release Button 1 and Button 2 for 1 second. Press and release again Button 1 and Button 2 simultaneously. SmartMoto detects the handset as "S Blank Neptune LTE", "S Blank"Paragon POG" or "S Blank Rainbow POG". 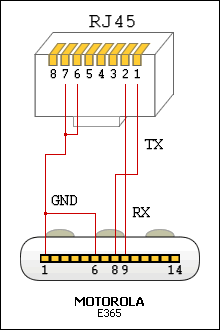 Connect phone PCB to PC via Smart-Clip (phone > Forced boot mode cable > Smart-Clip > LPT cable > PC). Push Button 1 and Button 2 simultaneously. Disconnect PCB after the process completed. 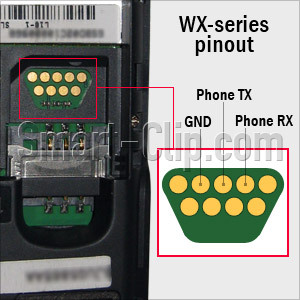 Connect Smart-Clip to the phone using RJ45 cable (pinouts below). Press Power button on the phone within 5 seconds after you press UNLOCK button on a Clip. RX/TX leds will blink. E/G led will glow green on success. When you unlock Sendo phone use either fully charged phone battery OR power supply from Smart-Clip. Don't use them both at the same time! If you use power supply from Smart-Clip, make sure current is not less than 300mA, otherwise not all data will be properly recorded into the phone. Connect S-Card dongle to PC USB port. Connect Smart-Clip to PC using Smart Adaptor or LPT cable. Power Smart-Clip on (warning: donТt use battery!). Go to our Update Zone. Update Zone uses ActiveX control, answer "Yes" to install and run it. Press "Update" if the Smart-Clip version is out of date. Wait until update procedure is completed and then power Smart-Clip off. After the first Smart-Clip update and account registration at www.boot-loader.com a new user activates the service in accordance with standard price plan. Access is provided within one year period since the first Smart-Clip update (date of the first update + 1 year). In case if Smart-Clip has not been updated before logging in at www.boot-loader.com, the access will not be valid and user will be asked to perform the update procedure.